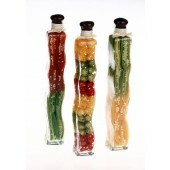 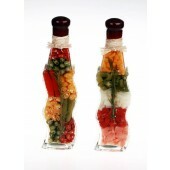 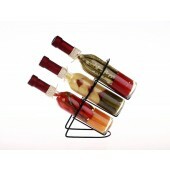 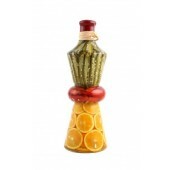 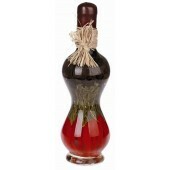 Inspire your customers with vivid, organic culinary art – the Orii Gourmet Decorative Vinegar Bottle collection. 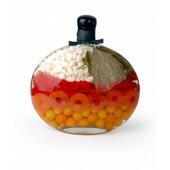 A homage to the rich cuisine and legendary romance of the Mediterranean region, our program features bottle designs inspired by everything from old world flasks to abstract geometric shapes. 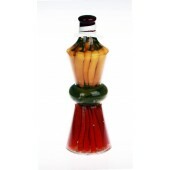 Each glass bottle is carefully laced with intricate layers of color and texture-rich peppers, herbs, citrus and vinegar. 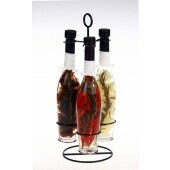 They’ll brighten any décor from rustic old world to cutting edge modern with vivacious hues of natural origin.